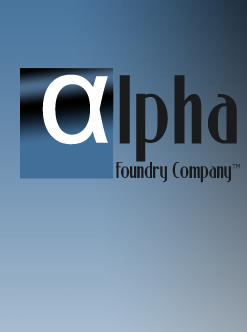 Using 8 Redford-Carver Alpha Process molding/core machines, we produce our unique molds in a very clean, 10,000 square foot foundry. Our primary pouring alloys are 356 Aluminum and ZA-12 Zinc/Al, which we melt using a 950 pound Dynarad electric resistance furnace. We are in the business of providing high quality, precision sand castings for manufacturers. Our unique process allows us to produce sand castings with appearance and quality that rivals investment and permanent mold castings at significantly lower costs. Aluminum casting has become one of the premier component manufacturing processes in countless industries. 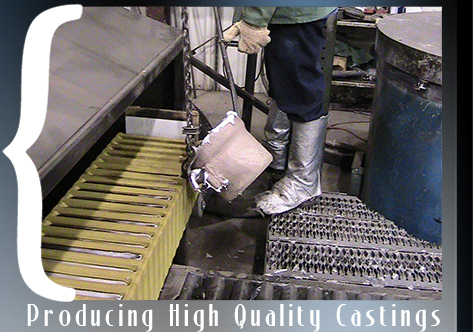 We specialize in, but are not limited to relatively small castings (under 5 lb) and a wide range of production volumes. Our unique process allows us to produce very consistent castings with respect to finish quality and dimensional accuracy. We also produce the majority of our tooling in-house.